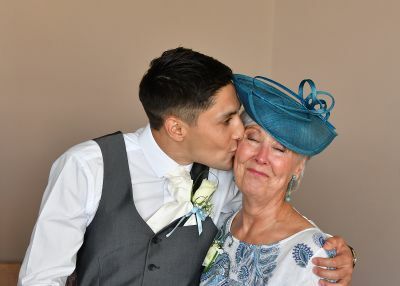 Pat Khan, Patient Action Group member and mum of two recently travelled to Cyprus to celebrate the wedding of her 29 year old son Emil Khan. When they think back to the way Pat was before her surgery, there were times when they weren’t sure if she would have the energy to make a trip such as this. Now Pat has more energy than ever and not only made the journey but was a big help on the day too. I recently celebrated my youngest son’s wedding and it was such a wonderful day! We travelled to Cyprus for the event and I was involved in helping everything run smoothly. Both the bride and my son were radiant and I couldn’t have been happier to celebrate the day with them. It’s experiences like this one that make me truly appreciate the second chance my heart valve surgery has given to me. Seeing my son marry the love of his life has been one of the happiest moments. Read Pat's valve disease story here.